2nd Sight is an international heavy metal act which has its roots in the music scene in Hamburg, Germany. They are dedicated to the classic 80s metal sound in all its characteristics and mix it with progressive rock tunes from the 70s. Combined with their technical musicianship and passionate stage acting, this leads to a notably degree of originality. Founded in January 2005 by Rüdiger (voice) and Stellan (guitar) the band recorded their first and still unreleased record “Second Sight” at LSD studios (i.a. Alestorm, Halcyon Way) in Lübeck in 2008 in co-operation with producer Lasse Lammert. Soon after, some members left the band due to job-related reasons, which led to an extensive search in order to find proper replacements for a steady line-up. Without a full band, Rüdiger and Stellan saw no point in promoting the album at that time. However, the band did have some gigs every now and then, i.e. as support to Paul Di’Anno (ex Iron Maiden), Dragonforce, Jon Oliva’s Pain, Vicious Rumors, Masterplan and others, as single show headliner or last at the sold-out Trveheim-Festival in 2018. 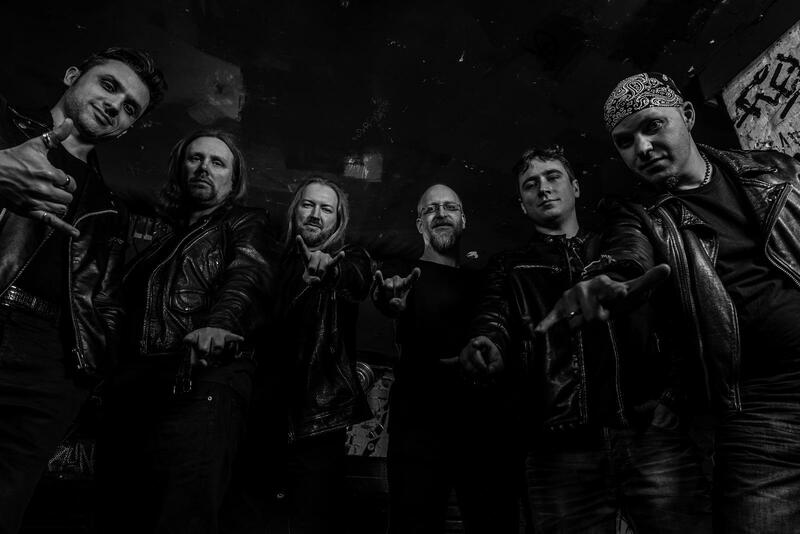 Having upgraded the line-up with Dennis (bass, ex Aeons Confer) and Kolja (drums, ex Faint Horizon) 2nd Sight started pre-production for the second album “Samsara” in 2015. The recordings and a first mix were completed in 2016 at Rosenquarz Studio in Lübeck (i.a. Atlantean Codex, Incubator), directed by producer Michael Hahn. In 2017 some fantastic guest contributions were added by fellow musicians, such as Will Shaw (Heir Apparent, Ayreon), guitar prodigy David Klosinski (Uli Jon Roth-Band) and Benno Hankers (Night Laser), amongst others. In 2018 a new and improved mix was done by Marek Baron at Havoc Audio Studio, Hamburg. Finally, by the end of 2018, the long search for a full line-up was successfully completed. With the addition of south-American guitar wizards José (Chile) and Andrés (Argentina) the band now for the first time offers a three-piece of total guitar mayhem. 2019 shows the band on the next level: three extraordinary guitarists, paired with an original sounding voice and a unique songwriting that pleasantly stands out from the crowd. More power, more show, more METAL!!! Straight from the 80ies back to the now – 2nd Sight is gonna get ya!!!!!!! !